Dénes Szabó (1947) is an outstanding figure in Hungarian and international choral life. He studied music in Szeged, Miskolc and Budapest. 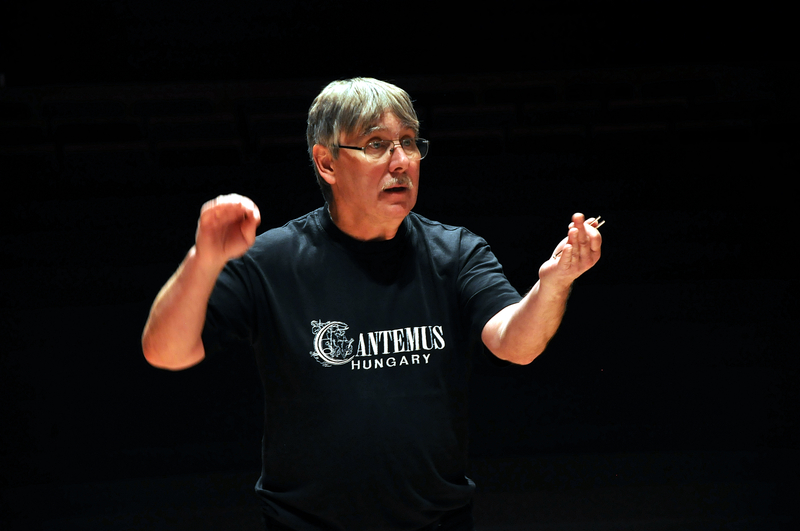 He founded the Cantemus Children’s Choir in Nyíregyháza in 1974, which has since grown into a choral institute and began to operate as an independent artistic organisation under his direction in 2003 with three choirs - the Cantemus Children’s Choir, the Pro Musica Girls’ Choir and the Cantemus Mixed Voice Choir. These choirs all perform at world-class standard. He is highly sought after as a choral conductor and lecturer in music education at international festivals, masterclasses and conferences. He has also been a member of the judging panels at several leading international choir competitions. In appreciation of his artistic achievements he was awarded the Ferenc Liszt-prize in 1985, the Béla Bartók-Ditta Pásztory- prize in 1985, the Kossuth-prize in 2000 and the Hungarian Cultural Heritage prize in 2004. In 2014 he was awarded the ’Artist of the Nation ’ title by the Hungarian Academy of Arts.